For most WooCommerce checkouts, customers will be purchasing products and remitting payment to your store. They may also be selecting shipping methods or entering coupon codes. However, when customers purchase a free item, you may not need all of the fields at checkout if you’re not collecting any payment for shipping. 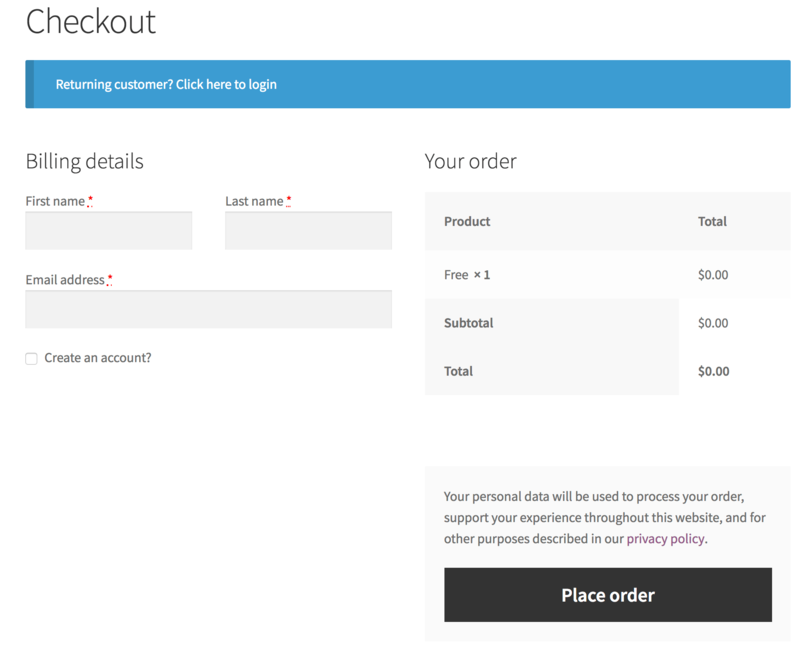 As a result, you may require almost none of the checkout fields. If you’re selling free virtual products, such as a free membership with WooCommerce Memberships, you may want simplify this checkout form even more. Fortunately, it’s really easy to check if the checkout has no cost with the WC()->cart->needs_payment() check. We can use this to take a few actions to simplify the free WooCommerce checkout if no payment is needed, such as conditionally removing some billing fields. Let’s walk through some steps we can take to simplify the free checkout, and then put it together into a usable snippet. First, you probably don’t want the coupon form for your free checkout, as there’s nothing to discount. Using ! WC()->cart->needs_payment() as a check assumes that the checkout total is $0, so there’s no shipping costs or order payment needed. As a result, we can safely remove the coupon input. The only instance you may need this form is if you use something like Free Gift Coupons, which isn’t providing a discount with the coupon, so the form could still be needed. You may want to gather order notes from the customer for the free order. However, our goal here is to completely simplify the free checkout, so I’m going to remove that entire “Additional Information” section of the checkout. We can do so with the woocommerce_enable_order_notes_field filter, as we can set this to false so there are no order notes. Since we don’t need to charge a credit card, we probably don’t need most of the billing fields in this checkout. I’m going to unset some billing fields here, and you can choose with fields you want to remove from the checkout form. 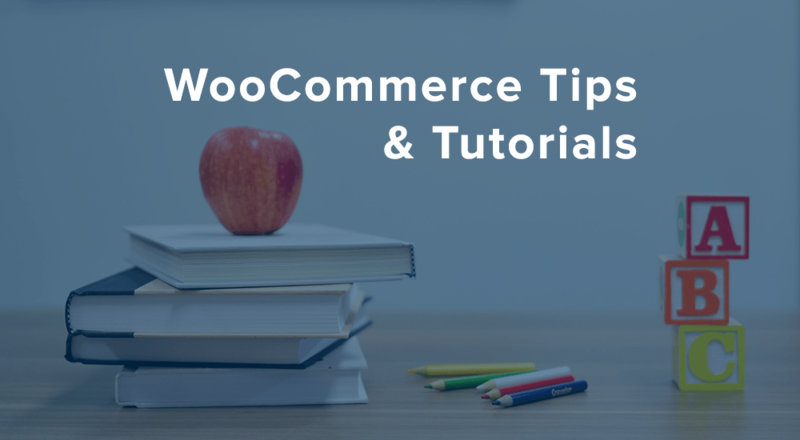 You can find a list of all checkout fields in the WooCommerce documentation. This is what does most of the work in simplifying the free WooCommerce checkout. As a final note, we’ll wrap all of this code in a check for WC()->cart->needs_payment() so we can be sure we only remove these fields when no payment is needed. You can find the full snippet here to add wherever you keep custom code on your site. Great tutorial! Am going to use this for a couple of free Sensei courses I’m planning. Love all your tutorials! awesome, thanks for the kind words David! Thanks for this tutorial, used the code with the Code Snippets plugin and had it all set up in just over 5 mins – a great quick fix – thank you! The only issue is that when a product has a price & a coupon is used to get it discounted to $0, the code doesn’t cover this and if I don’t manually refresh the page, the billing fields are still there. Maybe you can add something to the code so when the apply coupon button is clicked and as a result the checkout cart amount is refreshed to $0, the snippet will recognize it and will remove the billing fields? Hey Tom, unfortunately this is because the checkout page is refreshed via ajax (without a page load / refresh), while this code is loaded on the page load instead (which is why the refresh is needed to adjust the fields). Not something I plan to add here since it’s not exactly simple, but it would be possible to do with the help of a developer. how to remove the title: Billing Details, that still shows above the name & email fields? nice, love the post on why you should handle downloads through the cart process 🙂 glad to hear it’s helpful! That works really great and will make it much easier to sign up for Free Memberships. The only problem I’m having is that for some reason it removes these fields for paid subscriptions as well. It works fine for all other products. Have any idea how to stop it from removing the fields from a subscription product? How’s the subscription set up? I can’t replicate this — a paid sub has all checkout fields while free cart has none for me. Weird. It may have something to do with the Woo Checkout Field Editor I have installed as well. Probably, the only thing I realized later that I didn’t account for a free subscription that has a signup fee — the cart total is technically reading as “no payment needed” in that scenario even though the sign up fee is due. Is that by chance what you had? If so, I added a note here. If not, then there’s definitely a conflict elsewhere. I just found what the issue was. If I deselect the option in Woocommerce Settingts under Subscriptions to allow Subscriptions and Products to be purchased at the same time then a subscription product must go to the cart first. This will work fine with the code you provided. But if you don’t allow Subscriptions and Products to be purchased at the same time then the Subscription product goes straight to the checkout which I like. Then the checkout fields are missing just like a Free Subscription, however when you refresh the checkout page the correct fields appear. useful code for marketing ideas, thanks! I have unexpected behaviour: It works great with free products only, but if you have free and paid products it shows the simplified billing form! Did I made something wrong? if I refresh the checkout-page (that show only reduced fields), the complete billing form appears! Hi, I have the exact same issue as you Bruno. If I click to order something which requires payment it still shows the simplified version. However, if I refresh the checkout page then the billing info appears. Did you find a fix for this? I just had the same issue. I will try what you have suggested. Thanks. I have unchecked the checkbox for subscription and product can be purchased simultaneously, but still didn’t work for me. When I go to checkout for a paid subscription, most billing fields are still hidden. I tried a slightly different code, and this works. I hope that it will help you. Managed to get it working now using the majority of your code, thanks so much for your time Bruno! Thanks for these helpful snippets. I need to go the other direction… we want to offer free membership but we need credit card data for future purchases (stored securely off the servers of course). Do you happen to know how/where to override the WC()->cart->needs_payment() check to force the collection of payment method info at checkout for a $0 product? I feel like I’m on the verge of figuring this out from your article but I’m a little stuck. Saved that file in my child theme. Need to test but I think it works. Am wondering whether I could do it in my functions file instead of relying on overriding the entire php file. I feel like that would be better practice. Not good enough at php code to know for sure so if you know, I’m all ears for any of your experienced thoughts on this. should work in your child theme to filter the value instead of changing the value where its set. However, I’d make sure to test this out fully since I know that check is used in a lot of places. I knew I was thinking of a problem when I originally replied and just remembered what it was — many payment processors don’t allow for $0 captures, some allow $0 authorizations (without capture), so I’d recommend checking this with your payment processor. I am very happy to have found this. Thank you very much. Question: Instead of the function triggering when check out doesn’t need a payment, would this work if function was triggered if only on a specific page? The reason I’m asking is that I am looking for a method for a limited checkout to show only on a specific page which uses a shortcode of the One Page Checkout plugin (Prospress). My idea is to create a squeeze page format on this single page which allows users to subscribe to a free membership using your Memberships plugin. The user would only need to enter their first name, email, and password. The user could be sent through a sales funnel and if they purchase a premium option down the road, they could make a new purchase on the standard cart form. I haven’t seen anything like this available with woocommerce yet and think this would be very powerful for a lot of people. Please let me know your ideas. Hey Dale, you’re definitely on the right track here and this is a really neat idea! One consideration is that customers may have other items in the cart that you’d need these fields for, so you may want to keep the “needs payment” checks in. You could replace each is_checkout() check with your is_page() check instead if you wanted to go this route. If you always want this form to be simplified, even if there are other products in the cart, then your approach should work as well. That’s great news. Thank you for the reply. I will “chew” on this! Very useful. Just what I was finding for. Is it possible to remove the part of the checkout page that displays the total, shipping, tax, etc.? 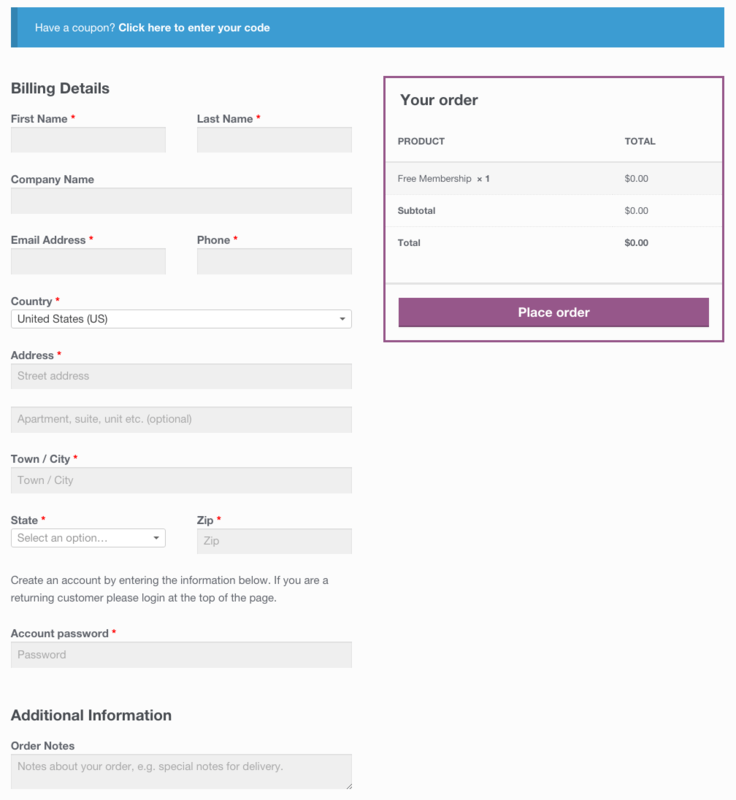 I have a feature on my website that lets customers request something not listed on my website and we would then charge the customer at time of delivery, so rather than them see “Total $0, Shipping $0, etc.” I would just like the checkout screen to display the billing and shipping fields. I love these tutorials. So grateful that you take the time out to answer questions here, Beka. I’m still learning php, so wonder if you can give me a hint about using a particular coupon and not just any 100% off coupon? So if I want to only abbreviate the checkout fields for people using coupons with the prefix “beka-…” (but are auto-generated so there’s no way to specify the full coupon ID) how would I do that? Hmm, this would definitely be far more complex, I don’t have any sample code handy for something like this. Instead of a simple check for needs_payment(), you’d need to hook into the cart object, check for applied coupons, loop through them to check the beginning of the coupon code string for your phrase, then execute your checkout changes if any applied coupon matches this condition. We have a function in our framework for checking “string starts with” that may be helpful, but I’m not sure if this is the best way to do it, so you may want to dig into the coupon and cart classes to see if there are any helpful coupon functions. Any chance you can tell me what’s so invalid?? Thanks and sorry for any panicking. Do you have any custom code around subscriptions or other plugins that use it? I can’t replicate this myself using Subscriptions 1.5 or 2.0 and the completed snippet above, so I’d recommend doing troubleshooting like disabling all plugins / switching themes to try to narrow it down. There was no special tweaking to the subscriptions. I had reset the plugins. Changed out the theme, but still got that same error message on checkout. Then I commented out the special CSS tweak, and it works great. No error messages. Seriously, thank you. This tut will save my clients listeners time and hassle for free music downloads. If I wanted to switch out looking for the coupon and use a category ID instead – any items in specials for example – to remove those extra billing fields, how would I go about that? .. and then keep the rest of the code as is?? There’s no is_product_category() check available like that on the cart object. You’d need to add a fair bit of additional code to get all items in the cart, get the product objects for each, loop through them, and set / return a flag based on if a product within your category is found. This would also depend on if it should execute when one product in the category is found, or only if all products are in the category. Not too tough, but something I’d recommend hiring out to Codeable if you’ve not done it before. Do you have plugin for this or know of anyone that has a plugin for this? I don’t know how to work with code. : ( Thanks in advance! I’m afraid I don’t know of a plugin that will do this, but we do have a tutorial on adding code to your site if you wanted to give it a go. I’d highly recommend using a staging site if available before doing this on a regular site. Thank you for this code. I used it in its entirety in Code Snippets and it is working great as far as purchasing something for free, however, I notice that sometimes when I try to purchase something that is not free, the same result shows as for free items (that is, only a couple of fields to fill), then when I try to go to pay, it says that I have not filled in the required fields (and lists all of the other fields that would normally be there). I wonder if this is because I did not wrap all of the code in a check for WC()->cart->needs_payment(). Not sure how to do that. I further discovered that if I simply refresh my page, the fields show up. However, most customers would probably move on once they see the error message so I would love to fix it. I read through some other comments and believe that I saw a couple others with a similar problem but I have not been able to find the solution. Please help. Thank you again for this code Beka. Can you give me more details here? I cannot replicate this at all so without that can’t know how this is happening. What are you doing when you add the paid item? Is your checkout page cached in any way? Thank you for your response. I just discovered that if I click on “View Cart” after I had added the priced item, then Proceed to Checkout (from within the cart), all the fields show up. However, if I add the priced item and them click on the Proceed to Checkout option (without first viewing the cart) from within my header, only the skeletal fields show. Is there a setting I need to change within my header? Interesting, so is “Proceed to checkout” just a link to the checkout page, or is it generated by a widget or something (ie the mini cart widget)? Its cool and very useful! How can I supplement this code for shipping fields? Hey Peter, If you don’t need to ship your products, they can be marked as “virtual”. If the order is only virtual items, no shipping fields are shown. It’s not virtual product just I would like to remove some shipping fields (address2 and country). Could you help me? Gotcha, your code needs to have 2 foreach loops then, you can’t combine them into one as your example did. Woocommerce Memberships gets so many things right – How can the integration of a proper free registration be missing? Is it possible to conditionally change the template used for the checkout page when no payment is required? Hi Jason, I’m afraid that Memberships doesn’t modify the purchasing process at all since it’s tied to WooCommerce products for access. This is why the standard checkout process is used — Memberships is only checking what’s purchased when an order is created, not modifying that purchase process itself, so it doesn’t modify a free checkout. If you wanted to conditionally change the checkout further when no payment is required, you can definitely do so! This needs_payment() check used above could be used for other hooks on the checkout page (such as woocommerce_pay_order_button_text), or to translate the text you’d like to change. I used phpcodechecker to see if I could get some info on what the offense was in line 4 but it said that there were no issues. Would there be any other reason why I would get the error other than something with the code in line 4? Some kind of plugin clash? Thanks – I love this site a lot, and your work especially. OK well it cleared up the WC icons in my dashboard when I did this. And the fatal errors seem to have stopped. Thanks again! I just wanted to thank you for this article. I am still in the process of testing all scenarios, but I now have it working the way I want due to all the snippets of code. It was a combination of Beka and Bruno’s modifications. I wanted to display the billing fields when customer selected a free and paid product together. That was not working with the original code. The billing fields would only come up if a customer only added products with a price (no free items). But I need to be able to capture the billing address for paid items for tax purposes. So, I made a few mods to Bruno’s code and it seems to be working the way I want. A few more tests and I am hoping to make the change tomorrow. Credit for the solution goes to Gennady Kovshenin. I’ve taken your code with this small modification and some small cosmetics and turned it into a custom plugin. Would this be of interest to anyone? This snippet fixed an error when using a coupon with WC Subscriptions for me. However, i’m still getting the credit card form appearing on a free product. It won’t let the use checkout without adding a credit card. Is it possible to have “Free” text in place of “$0.00” in cart and checkout pages in woocommerce. I can show the same in single and archive pages but not in cart & checkout pages. Will this change effect the process? OMG… let me tell you. as a blogger with little to no e-commerce or PHP experience, this article paired with the Code Snippets advice has really helped me! In less then 30 seconds I was able to get my free downloads through the cart with just a name and email, exactly as I wanted. THANKS SO MUCH! I have a woocommerce site and I have seen on some Facebook ads that the product is absolutely free, All they have to do is pay for shipping. Where do I activate that in my wordpress woocommerce? Ensure the product is not marked “virtual” to indicate it needs shipping, and your shipping costs will always be applied. I’ve added the code above and it was working great for awhile, but it seems that a recent update has caused the credit card form to appear on the page preventing users from placing an order without having to enter their credit card details. Hi. I am looking to use woocommerce for payments in our bricks and mortar store. Meaning that if someone buys a t-shirt from us in store, we don’t need address details, billing address etc. I know SQUARE works with woocommerce, the issue is that we are in the United Kingdom. Can you help at all? Will the codes above help? This was perfect, thank you so much. where should i fill in this code? Can you give me the path please? Wonderful and very usefull snippet! I am using it for image-upload as virtual product, so that customers can upload a picture at a later moment (they have to insert order# and email at this time only) and the data are all in my woocommerce (Version 2.6.14 ). The only problem I still do encounter is that the status for this product ‘upload my picture later’ is automatically set to ‘completed’ but I would like it to automatically be set to status ‘image’, wich would ease the workflow tremendously. Is there a snippet for this to append to your code? Hey Thorsten, since “image” isn’t a default WooCommerce status, you’d likely need customization to manage / automatically change statuses in this case. (in tis case with your snippet-if possible) not to ‘processed’, but to ‘image’. The script was not working for me as it was always hiding the fields, even if the total amount of the cart was not 0. I solved using “WC()->cart->cart_contents_total != 0” instead of “WC()->cart->needs_payment()”. Just curious… you mentioned that you could make the email input field full width – How would you do that? Do you have to give it a custom CSS class first? I am using the 1 page checkout plugin if that matters. I sell both free and paid products so I can’t alter my checkout template to remove the cart contents and total price as that is required for the paid products. I have a checkout page that sells registration to my BuddyPress site using WooCommerce and I have the Woo premium plugin checkout fields that I use to remove all the unnecessary fields but it still shos the cart contents and total of $0 which is disconcerting for customers. Is there code that can remove showing the cart contents and the cart total, but just for free products?